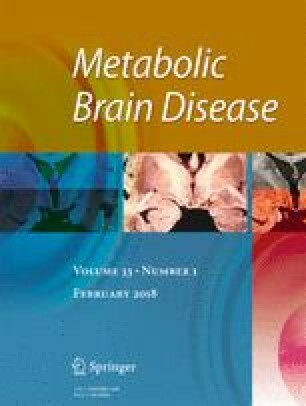 A high-fat diet induces obesity in mice, leading to insulin resistance, decreased mitochondrial function, and increased apoptosis in the hippocampus, which eventually result in memory loss. The present study investigated the effect of physical exercise on memory, hippocampal mitochondrial function, and apoptosis in mice with in insulin resistance caused by obesity due to high-fat diet. Mice were randomly divided into four groups: control (CON), control and exercise (CON + EX), high fat diet (HFD), and high fat diet and exercise (HFD + EX). After receiving a high-fat (60%) diet for 20 weeks to induce obesity, the animals were subjected to an exercise routine 6 times per week, for 12 weeks. The exercise duration and intensity gradually increased over 4-week intervals. Hippocampal memory was examined using the step-down avoidance task. Mitochondrial function and apoptosis were also examined in the hippocampus and dentate gyrus. We found that obesity owing to a high-fat diet induced insulin resistance and caused a decrease in memory function. Insulin resistance also caused a decrease in mitochondrial function in the hippocampus by reducing Ca2+ retention and O2, respiration, increasing the levels of H2O2, and Cyp-D, and mPTP opening. In addition, apoptosis in the hippocampus increased owing to decreased expression of Bcl-2 and increased expression of Bax, cytochrome c, and caspase-3 and TUNEL-positive cells. In contrast, physical exercise led to reduced insulin resistance, improved mitochondrial function, and reduced apoptosis in the hippocampus. The results suggest that physiological stimulations such as exercise improve hippocampal function and suppress apoptosis, potentially preventing the memory loss associated with obesity-induced insulin resistance. This work was supported by the National Research Foundation of Korea Grant funded by the Korean Government (NRF-2013S1A5B5A01031478).